All Gainesville homes currently listed for sale in Gainesville as of 04/24/2019 are shown below. You can change the search criteria at any time by pressing the 'Change Search' button below. If you have any questions or you would like more information about any Gainesville homes for sale or other Gainesville real estate, please contact us and one of our knowledgeable Gainesville REALTORS® would be pleased to assist you. "The Best of Both Worlds with this gorgeous custom estate home! A rare opportunity to own a completely remodeled, like-new home in the established and prestigious community of Lake Manassas. 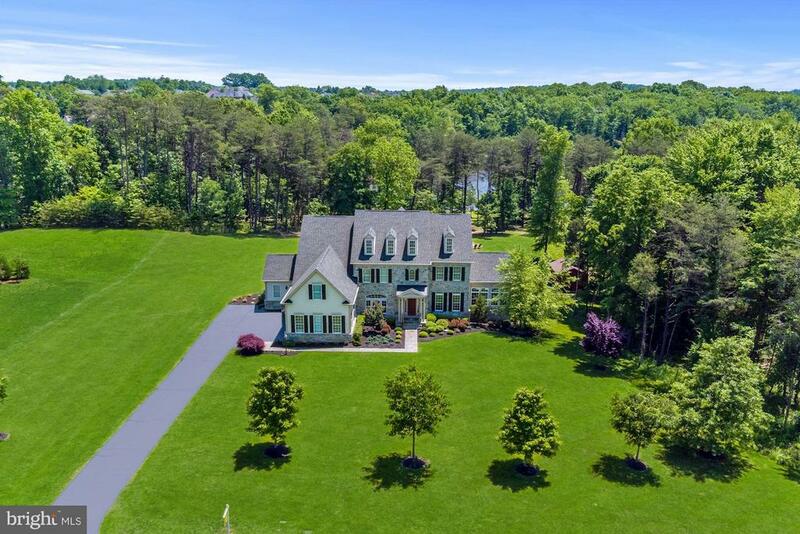 The setting of this property is stunning ~ panoramic views of Lake Manassas, Stonewall Golf Course & the renowned Robert Trent Jones Golf Course. The completely remodeled interior of this custom home exemplifies quality and exceptional craftsmanship, truly the perfect blend of traditional and modern design. From the moment you walk through the impressive custom doors, the experience begins and the fine attention to detail strikes you. The open concept family room with soaring windows and modern gas fireplace opens up to the spectacular chefs kitchen with custom hand crafted cabinetry and amazing thought to detail with hidden pull out storage for all your cooking needs including pots and pans, spices, utensils. Only the best new appliances to include 4 ovens- 2 Miele wall ovens and a Wolfe 48 inch Range, Sub Zero refrigerator, 3 dishwashers, and icemaker. Stainless steel farmhouse apron front sink, pot filler and marble counter tops. The kitchen also features a hidden paneled door to the walk in butlers pantry with ample storage and marble top. The master wing features a sitting room, 2 walk in custom closets, bedroom with a gas fireplace and access to the covered terrace to enjoy the views. The luxurious marble master bath with claw foot tub and gorgeous tray ceiling with chandelier is just another stunning space in this home. The main level also features a separate dining room, study, powder room, laundry/mud room with built in cabinetry, utility sink and granite counters. Upstairs you will find 3 private bedrooms all with ensuite baths and custom closets. Also relax and read a book in the loft area with built in bookcases. Inspired by Old World European pubs, the lower level is an entertainers dream! The attention to detail continues in this space with the handsome custom hand "
"Love the lake! Enjoy the wonderful views throughout the back of this incredible spacious 9,463 sq.ft. 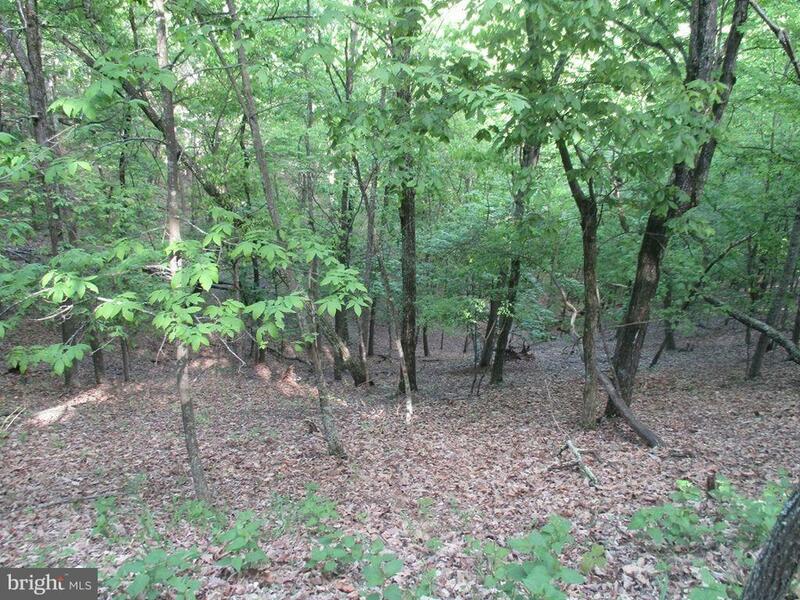 home on 1.34 acres with trees OR just walk out to the water. Good fishing too! Great entertainings are inside and out, plus two 2-level built-in playhouses in kids' rec. room. First floor office can be used as a bedroom. Handy laundry room/family suite. School bus stops in front of home. Several golf courses and major shopping centers nearby with easy access to US 29, US 15 and I-66." "ORIGINAL OWNERS are SELLING THEIR FOREVER HOME! 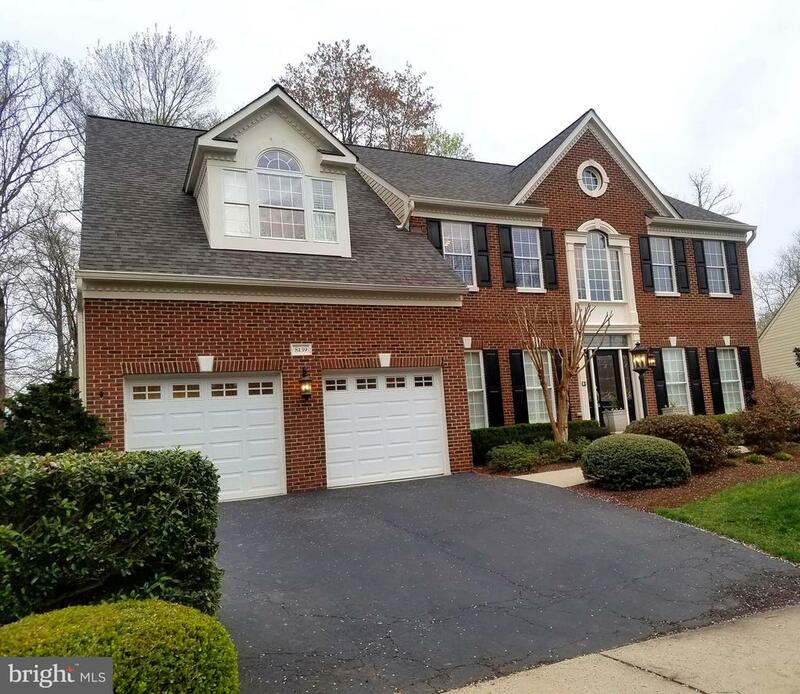 IMPECCABLE & PRIVATE 5BR/4.5 BATH ESTATE HOME with SALT-WATER POOL in COVETED **THE RESERVE AT LAKE MANASSAS** 1.25 acre treed lot adjacent to LAKE MANASSAS at end of CUL-DE-SAC. Homes RARELY turn over in the RESERVE. 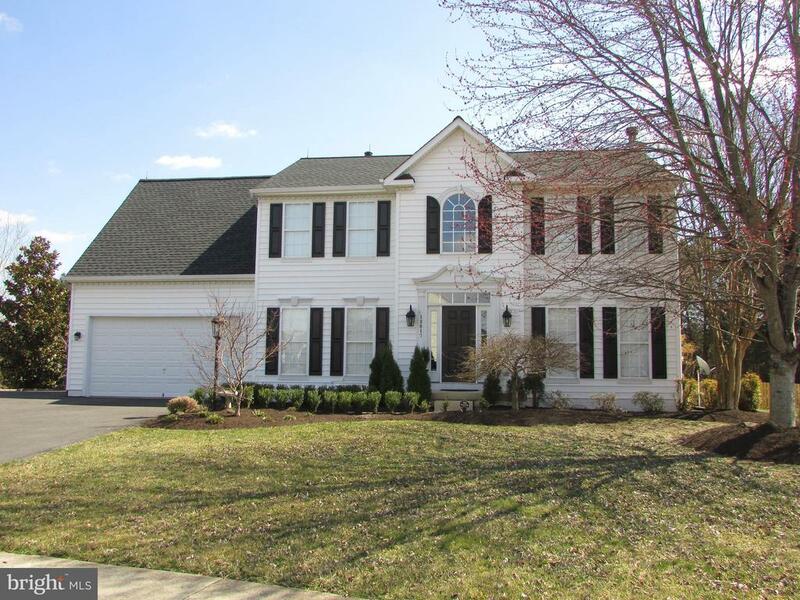 GRACIOUS OPEN FLOOR PLAN w/ dual staircase and MAJESTIC 2-story GREAT ROOM w/ Built-Ins. Gourmet Kitchen with Stainless Steel Appliances. Lush Master Suite with Private Veranda & Spa Bath. Fully Finished Walk-Out Basement with Theatre Area, Wet Bar, Gym, and 5th Bedroom Suite. Large Maintenance Free Deck off of Sun-ROOM overlooking paradise. This well maintained ESTATE Home will surely IMPRESS." "GORGEOUS CUSTOM Home in the Gated Golf Community of Lake Manassas * INCREDIBLE 1/2 Acre Lot backs to Trees, Golf Course & STUNNING Lake Views * OVER 5,300 Finished Square Feet (Tax Records are Incorrect) * FANTASTIC Layout for Entertaining Throughout * SPACIOUS Two-Story Great Room has Two-Sided Stone Fireplace * PRETTY Eat-in Kitchen boasts CUSTOM Cabinetry, Granite & Stainless Appliances * LOVELY Main Level Master Suite offers DUAL Walk-in Closets with Organizers & LAVISH Bath * BRIGHT Lower Level features LARGE Rec Room, CUSTOM Tiled Bar, Home Gym, Playroom, Guest Suite & MORE * NEW 50-year Roof & HVAC * MUST SEE 3-D Tour!" "Beautiful hidden gem in Gainesville featuring 6 Bedrooms 6 Baths 2 In-Law Suites w/ separate entrances, a 4 car oversized garage & situated on 3.5 acres. Additional rooms include sunroom, theatre rm and arcade rm for a total of 7000+ sq feet. Many commuting options available or within 15 minutes of I 66& nearby recreation include James Long Park (with a riding ring & artificial turf soccer field." 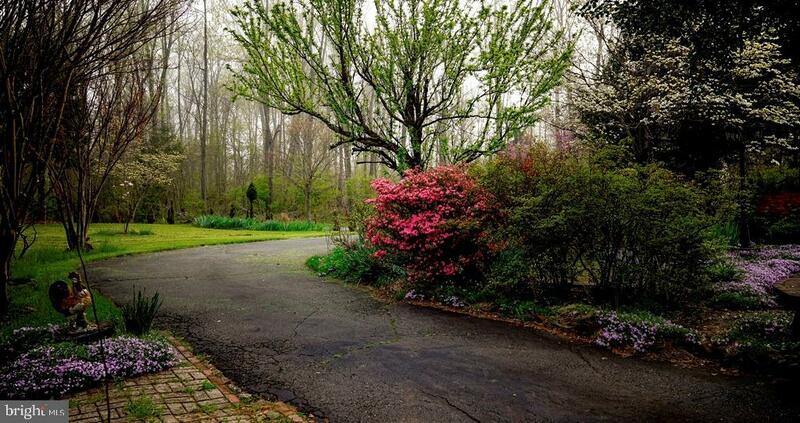 "Rare opportunity to own one of a kind estate home located on a serene 10 acre lot. This home was custom designed and crafted with attention to detail as the top priority. Finishing details include antique reclaimed American oak and pine flooring throughout upper two levels. Marble tile in foyer. Extensive moldings and custom carpentry in every room. Black wrought iron vent covers. No detail has been overlooked. Gourmet chef's kitchen details include: oversized island with gas cooktop and bar height seating at end, custom cabinetry, matte granite countertops, recessed and pendant lighting, walk in pantry, wall oven and microwave, built-in desk. Large windows allow abundant natural light and sweeping views of property. Informal dining/ breakfast room adjacent to kitchen offers access to property through large patio doors which walk out to brick patio and brick fire pit. Main level great room features wood burning fireplace with stone surround, columns and moldings, flat screen TV mount and built in ceiling speakers. Elegant formal dining room with butler~s pantry. Office/ library has been designed to maximize natural light and features built in custom cabinetry and glass French doors. Owner's suite with two sided gas fireplace, coffered ceiling, two sitting rooms, and two large walk in closets. Master bath with heated marble flooring, walk in shower, bench, and body sprayers. Separate vanities. Soaking tub and water closet. Second upper level bedroom with walk in closet and private bath. Third and fourth bedrooms with walk in closets and Jack and Jill bath. Bright upper level laundry room with built in custom cabinets and laundry sink. Exterior of this home has been finished using HardiPlank fiber cement siding, stone and brick. Roofing shingles are GAF Country Mansion with a limited lifetime warranty. Mud room with full bathroom is accessed through front service entrance and garage. Oversized 3 car garage with 8' doors and outside door entrance. Built in cabin"
"GORGEOUS CUSTOM Home in the Gated Golf Community of Lake Manassas * FANTASTIC Setting Overlooking the 16th Fairway of Stonewall Golf Course * STATELY All Brick Exterior with European Flair * OVER 6,100 Finished Square Feet * STRIKING Architecture, ELEGANT Moldings & 10' Ceilings across Main Level * NICELY APPOINTED Kitchen boasts Tumbled Marble, Granite & Stainless Appliances * SUNNY Family Room offers Gas Fireplace, Built-ins & French doors to HANDSOME Flagstone Terrace * LOVELY Main Level Master Suite with Gas Fireplace * HUGE Bonus Room on Upper Level with 3 Closets & Access to Full Bath makes EXCELLENT Teen or Guest Suite * BRIGHT Lower Level features GREAT Layout for Entertaining with Multiple Game & Seating Areas, VERSATILE Rooms, Bedroom Suite with Gas Fireplace, Built-ins, Walk-in Closet & Full Bath, Storage Space & Walk-out to Covered Lanai"
"Gorgeous Craftsman Style Brenden Model with Three Level Extension Located in Gated Saranac*Expanded Two Car Side Load Garage*Charming Flagstone Porch and Hardiplank Siding*Premium Cul de Sac Lot*Over $120K in Improvements since 2016*Open Foyer with Gleaming Hardwood Floors and Elegant Oak Staircase with Adirondack Style Rails*Formal Dining Room with Beautiful Chandelier, Crown and Shadowbox Molding*Pass Through the Butlers Pantry to the Gourmet Eat-In Kitchen that includes an Open Beam Ceiling, Stainless Steel Appliances, Granite, 5 Burner Cooktop, Built-In Microwave, Two Wall Ovens, Breakfast Bar, Pantry and Expanded Breakfast Room*Inviting Expanded Family Room with Cozy Gas Fireplace, Surround Sound and Doors Leading to the Three Season Room Addition with Sunspace Vinyl Window System with Screens, Two Skylights and Heaters*Formal Living Room with Double Bay Windows*Main Level Study*Mud Room and Laundry Room with Conveying Washer and Dryer, Granite and Storage Cabinets*Expanded Master Suite Includes Extra Windows and Two Large Walk-In Closets*Master Bath includes Plantation Shutters, Corner Soaking Tub, Double Vanities with Granite, Private Water Closet, Shower with Bench Seat and Linen Closet*Princess Suite with En Suite Full Bath and Walk-In Closet*Two Spacious Secondary Bedrooms and Hall Bath with Granite Complete the Upper Level*Full Unfinished Basement Ready for Your Custom Design includes a 3- Piece Plumbing Rough-In and Wet Bar Rough-In*Indoor Sprinkler System*Outdoor Living Includes a 430 sqft Paver Patio with a Wood Burning Fireplace with Seat Walls and Wood Storage Boxes*Professionally Landscaped with Irrigation System*Saranac Amenities include, Gated Access, Outdoor Pool, Lake, Miles of Bike/Walking Trails, Picnic Area, Snow Removal, Trash and Recycle* Excellent Schools*Minutes to Major Commuter Routes and VRE*Upscale Shopping and Dining*"
"Beautiful land right off Lee Hwy. You can customize your home. Price including the land and it's the starting price." "New lower price! Gorgeous Brenden model on cul-de-sac street in highly sought after Saranac! This spacious 5 bed, 4.5 bath, 3 car garage home offers privacy and easy access to the lake, pool and trails. Light and bright kitchen includes granite counters, double ovens, stainless steel appliances and custom backsplash. The large family rooms opens onto a 20 foot wide covered porch overlooking the secluded, wooded backyard. Other amenities include custom closets, upgraded mold and trim work, wireless thermostats and irrigation system. Riding lawnmower and full basement bar convey! Enjoy resort style living as you fish in the lake, walk the wooded trails or enjoy a campfire sitting by one over several rustic fire pits throughout the neighborhood. Tucked away and secluded, yet minutes from top rated schools, restaurants, shopping and transportation. Welcome Home!" 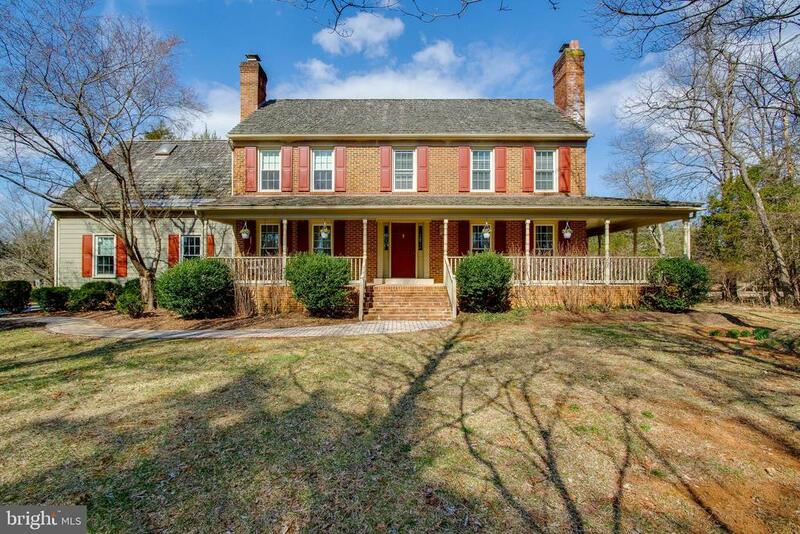 "Absolutely Beautiful Colonial in Sought After Lake Manassas, A Gated Golf Course Community. Incredible Floor Plan Featuring A Main Level Master. Gleaming Hardwood Floors Throughout The Main Level. Updated Gourmet Kitchen. Family Room With Double Sided Gas Fireplace. Formal Dining Room With Crown Molding. Study With French Doors and Double Sided Gas Fireplace. The Upper Level Features 4 Great Size Bedrooms and 2 Full Baths. The Walk Up Basement Includes a Large Rec Room, Full Bath, Laundry Room, Den and A Beautiful Custom Professional Office. Breathtaking Screened in Porch and Deck Overlooking Trees and Golf Course. Newer Roof and HVAC. Hurry Home." 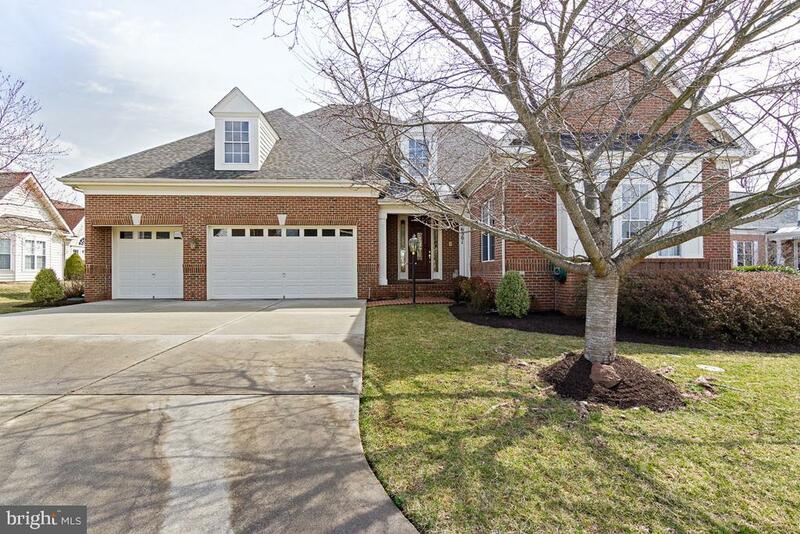 "Beautiful home in sought after golf/gated Lake Manassas * 3-Sides brick * bright & open layout w/6,700 Fin. 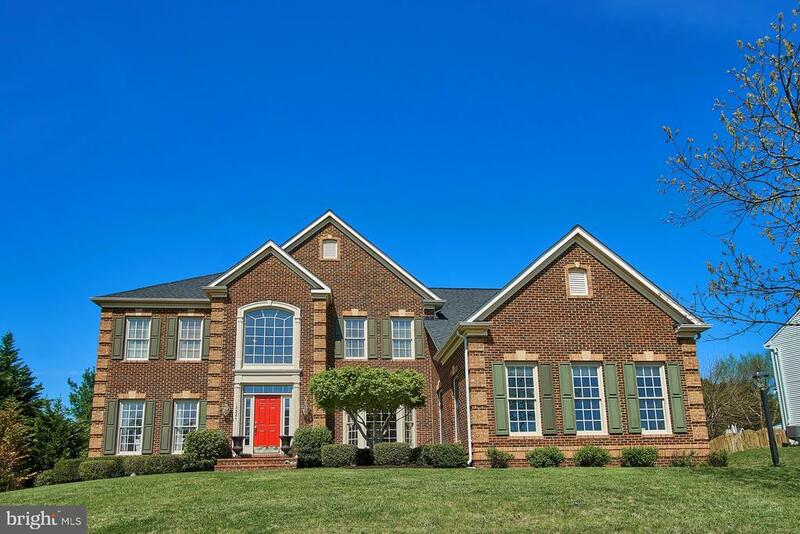 Sq Ft * grand foyer w/curved staircase, extensive moldings & 10' Ceilings * vast gourmet kitchen w/granite & cherry cabinets * lavish master suite * Loft on upper lvl & bonus rm off kitchen * fantastic BSMT w/ hardwoods, huge rec room, custom bar & home theater rm * large deck & Irrigation!" "Wow! NV Hydepark Model offers incredible features. Absolutely Immaculate. Freshly Painted Exterior. As you enter, note the Wood Floors on Main and Lower Levels. Elegant Entry Staircase with Upgraded Carpet Runner. Heavy Trim Package throughout the home which include Columns, Chair and Crown Moldings. Updated Lighting Fixtures. Formal Living and Dining Rooms, each with Bay Windows for extra space. Tray Ceiling in Dining Room adds a Sophisticated Touch. Main Level Office or could be used as a Bedroom. Huge Family Room with Stacked Riverstone Gas Fireplace, Recessed Lights and Vaulted Ceiling and Rear Staircase. Plantation Shutters Throughout. The Oversized Gourmet Kitchen features Brazilian Granite Counters, Large Center Island, Back Splash and Walk In Pantry. Tons of Gorgeous Cabinets and lots of Storage! Stainless Steel Appliances and Recessed Lighting. Delight in the Sun Room, which is also a Great Second eating area. Walk out to the Large Fenced Rear Yard backing to Trees. Upper Level Master Suite has Sitting Room, another Tray Ceiling, two Walk In Closets and a Luxury Bath. Three more Large Bedrooms, each with Full Bath Access; a Princess Suite and a Jack n Jill. Each just painted. The Lower Level is fabulous with new Carpet,Wood Flooring and lots of Lighting! Enjoy the great Media Room; projector will convey. Plus a Rec Room, a Game Table Area, a Full Bath and a 5th or 6th Bedroom or Office/Den/Workout Room. WOW! Over 6,000 sq feet on almost an acre! Oak Valley is a very popular and coveted neighborhood! All the homes are located on large lots and a low HOA quarterly fee. This home will surely not last.......so, why are you still reading this? Call your agent and Make an appointment to see!" "LOVELY CUSTOM Home in the Gated Golf Community of Lake Manassas * WONDERFUL Setting Backs to Trees & 2nd Hole of Stonewall Golf Course * 4,800 Finished Square Feet of CASUAL ELEGANCE including Handsome Moldings, High Ceilings, Plantation Shutters & Designer Fixtures Throughout * GORGEOUS Hardwood Floors across Main Level * BRIGHT Two-Story Great Room with Gas Fireplace * PRETTY Eat-in Kitchen boasts HIGH QUALITY Materials * Main Level Master Suite with LAVISH Bath & Door to Patio * NICE Sized Bedrooms & 2 Full Baths Upstairs * SPACIOUS Lower Level is an Entertainer's Dream with INCREDIBLE CUSTOM Bar, Billiard Area, Seating & Game Table Space, Full Bath & MORE * LARGE Manicured Yard, Patio, Landscaping & In-Ground Irrigation * BRAND NEW Carrier High Efficiency HVAC System"
"Newly renovated Colonial located in the much desired Heritage Farms Subdivision is just minutes from I-66 and Rt 29. This Ryan Home, Bainbridge Model has 5 bedrooms, 3.5 baths, and 2-car attached garage. Home is located at the end of the cul-de-sac with a 1-plus acre fenced in yard perfect for children and pets. Highlights include open concept living room, kitchen and dining area. The kitchen has granite countertops, gas cooktop, and energy efficient stainless steel appliances. Finished basement, with outside entrance, has new flooring and dry bar. Master suite offers double closets, separate shower, and jacuzzi tub. New Trex deck with never used Marquis Euphoria hot tub perfect for entertaining or enjoying a relaxing evening looking over a freshly landscaped backyard. Home offers many additional surprises." 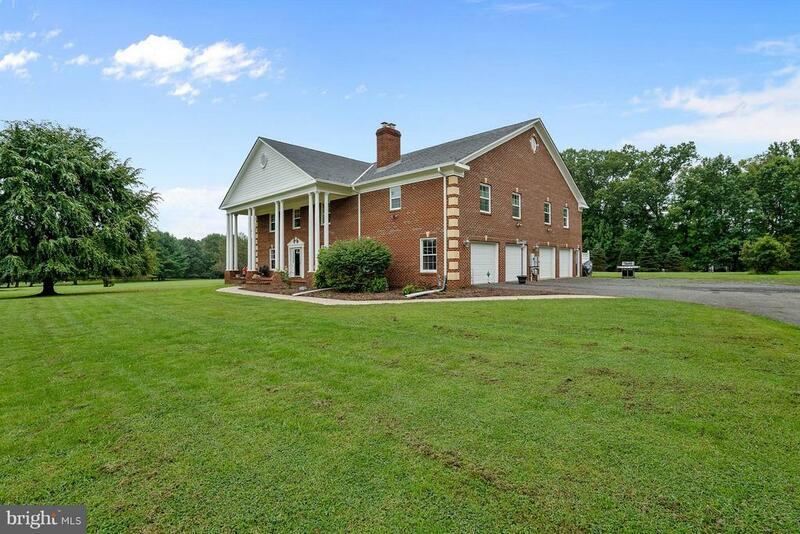 "ELEGANT CUSTOM BRICK HOME MESTED ON PRIVATE WOODED LOT (2.88AC) OVERLOOKING BROAD RUN. BALCONEY OFF MASTER SUITE, HARDWOOD FLOOR MAIN LEVEL, GRAND CIRCULAR STAIRCASE AND BACK STAIRWAY 4 LARGE BEDROOMS AND 5 BATHS - LIVING ROOM, DINING ROOM, BREAKFAST ROOM, SUN ROOM, LIBARY AND KITCHEN ON MAIN LEVEL WITH THE DECK SPANNING THE BACK OF HOME VIEW NATURE AT ITS BEST FROM ALL THE WINDOWS. FULL FINISHED BASEMENT WITH MEDIA ROOM AND WET BAR AND WALK OUT TO THE WOODS - 4 LARGE BEDROOMS ON UPPER LEVEL - MASTER SUITE WITH FIREPLACE. FIREPLACE IN LIVING ROOM, FAMILIY ROOM, AND IN RECREATION ROOM. 3 CAR GARAGE AND A LONG DRIVE WAY PARK UP TO 10 CARS. 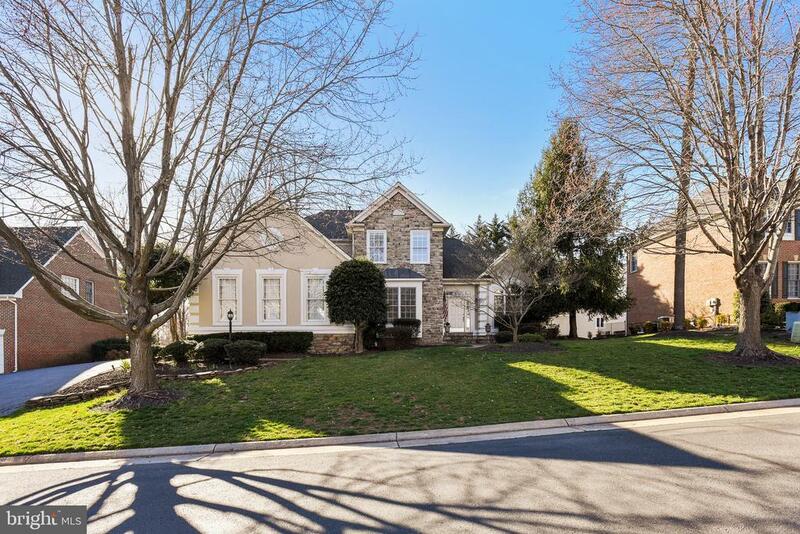 GREAT HOME FOR ENTERTAINING - HOME IS EMBASSY SIZE ( OVER 4650 SF ON 2 LEVELS AND OVER FINISHED 2,000 SF IN THE BASEMENT) 2 STORY FOYER - WALTER POND WITH SMALL BRIDGE - TOO MANY THING TO LIST PLEASE STOP BY AND ENJOY THIS BEAUTIFUL HOME." 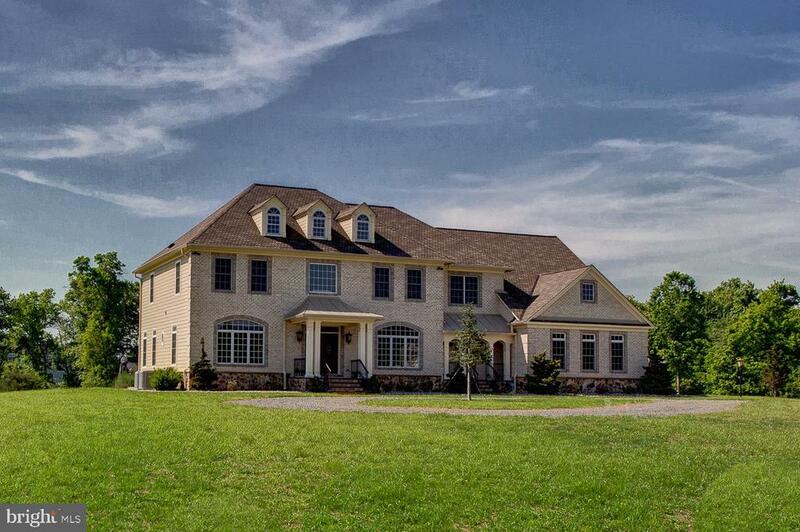 "Magnificent 7,800 square foot Renaissance Grand Rembrandt located in the sought after Gated Golf Course Community of Lake Manassas. Elegant Open Floor Plan with Grand Foyer and Exquisite Circular Stairs. Stunning Hardwood Floors throughout the Entire Main Level. Spacious Two-Story Family Room with Wood Burning Fireplace. Gorgeous Gourmet Kitchen with Upgraded Granite Countertops. Walls of Windows with Shining Sunlight. Beautiful Master Suite with Stunning Sitting Room. Luxurious Master Bathroom with Two Enormous Walk-In Closets. Unfinished Basement Ready for Your Design. Expansive Custom Made Screened-In Deck. Beautifully landscaped yard with an underground irrigation system. Oversized Two-Car Garage with Extended Driveway." "MOVE-IN READY ~ PERFECT 10 ~ OVER 3,700SQFT ON 5.03 ACRES IN SOUGHT AFTER FALKLAND FARM ESTATES: 4 Large bedrooms/3.5 renovated bathrooms, glistening hardwood on first and upper level, 2018 improvements included driveway paved, new HVAC on lower level (upper HVAC purchased 2010), all windows upgraded to dual pane thermal windows, FIOS available, Flue caps on both chimney***KITCHEN UPGRADES include Insta hot water, stainless steel upgraded appliances (GE Profile Warming tray, GE Profile Atvantium microwave oven with speed cook, GE Profile Oven with Trivection speed cook, Maytag Refrigerator with ice maker on door, GE Profile dishwasher, GE Dishwasher, GE Profile Built in Touch Control Cook top in island, Termador down draft retractable ventilation for cooktop), solid maple kitchen cabinets & silestone countertops, heated kitchen floor with room thermostat***LAUNDRY ROOM with wash sink, LG True Steam with Sensor Dry Dryer LG Top Loading High Efficiency Washer. Cozy family room with solid pine paneling on accent wall, brick fireplace with wood mantel & fireplace screen and tools, LIVING ROOM with fireplace with stone hearth***DINING ROOM with French doors to wrap around porch***Powder Room updated ~ with granite counter top and toto toilet***BASEMENT with recreation room, 2 offices, and full bath with shower, ceiling mounted speakers , built in serving and storage cabinets with granite counter top, heated floor with thermostats per room, wood look laminate floor for easy cleanup, one office/craft/hobby room has container store Elfa shelving, large storage area with built in wood shelves for storage***MASTER BATHROOM updated granite counter tops, Toto toilet, Jacuzzi whirlpool tub, Travertine tile throughout, Separate shower with frameless glass shower door, Heated floor with room thermostat***MASTER BEDROOM with extra large with walk in closet with Container Store designed Elfa adjustable shelving; two additional closets, ceiling fan, large secondary bedrooms with"
"BEAUTIFUL full of light house in sought after high end community of Virginia Oaks, THE LARGEST in the neighborhood! Two-story living room with marble fireplace, lots of windows and skylights. Humongous sun room with two skylights, vaulted ceiling, and separate entrance through the second deck. Library with built-in shelves. Breakfast room with 2 walls of windows overlooking park. Large kitchen with SS appliances, granite countertops, island, double ovens, 5 burner cooktop. Formal dining room with crown and shadowbox molding. Mud room. Gleaming hardwood floors. Recessed lighting. 4 bedrooms upstairs. Master suit with walk-in closet, vaulted ceilings. Upgraded master bathroom ~ double vanities, glass shower with bench seat, and claw foot tub! Jack and Jill full bathroom connecting two additional bedrooms. Princess suit with in-suit walk-in closet and full bathroom. Plantation shutters. Fully finished walk-out basement with full wet-bar, full bath, recreation room, exercise room, hobby room, and 5th bedroom. 3-car garage, huge driveway. Backs to park, 2 composite decks, patio. Professional landscaping with fountain.New HVACs." 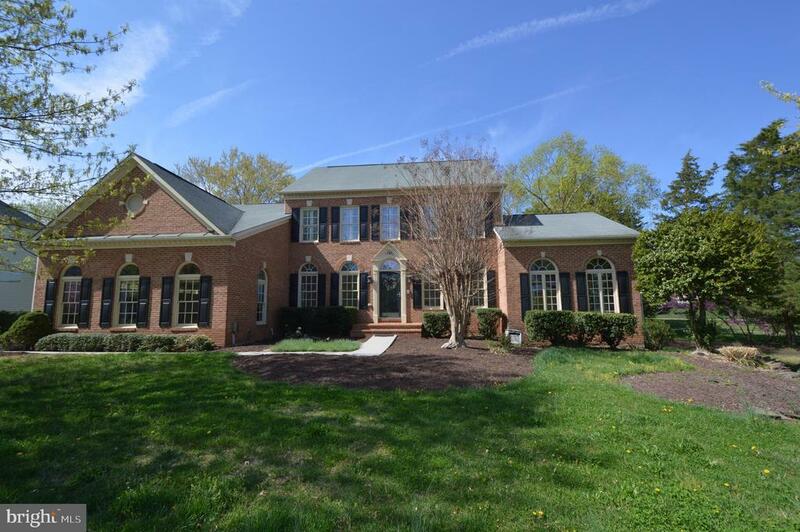 "Welcome to a stunning and spacious home in Northern Virginia's Premier over 55 community - Heritage Hunt. This home has plenty of space for entertaining with a formal living room and dining room as well as a gourmet kitchen with eat-in area and attached family room. The lovely master suite is located on the main level of this home so you truly can have one level living. There are also two other bedrooms, a full and a half bath, and a sunroom/office all located on the main level as well. Upstairs, you will find a rec room as well as two spacious bedrooms and a full bath. This home has a large, unfinished walk-up basement which can be used for storage or finished off if you desire more living space. Outside, you can relax and enjoy the peace and quiet on your large deck- also a perfect spot for a cookout. This home is located on a quiet pipe stem and the rear deck looks out on open green space. If you're looking for a wonderful home in an amazing gated, active-adult neighborhood with community center, fitness center, pool, tennis courts, walking paths and the availability to join a golf course, this is the place for you!" "Gorgeous ~4 sided Stone Richmond American Heath floor plan located in The Regents at Lake Manassas~This home has 3 finished levels~ 4 bedrooms, 4.5 baths & backs to trees~Amazing Gourmet Kitchen with large island, Stainless Steel Appliances, butlers pantry~Family room with gas fireplace~Main level office~Sunroom~Master suite with sitting area, gas fireplace, 2 walk in closets, luxury master bath~3 additional generous size bedrooms~Walk up finished basement has recreation room~bonus room~Media/Game room~full bath~New Roof 2018, Irrigation system, beautiful 53 X 16 stamped concrete patio for entertaining or relaxing~Fenced rear yard~ Just unpack..you are home!" "Beautiful, spacious home and Great Lot with views of woods and pond. Gourmet kitchen with granite counters and stainless appliances has an eating area and opens to a bright sunroom with lots of windows overlooking woods. Two Story family room with floor to ceiling stone fireplace, Lg Master BR with tray ceiling and sitting room, fully finished walkout basement. Large deck to enjoy woods and pond. New roof, newer HVAC, exterior doors, updated baths....It's a keeper!" 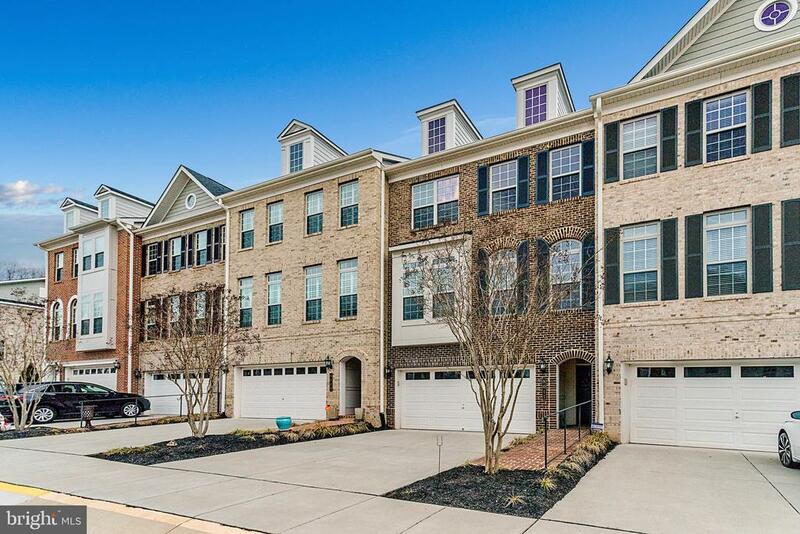 "Amazing elevator townhouse in the sought after Lake Manassas neighborhood. This beautiful property has all the bells and whistles. Over $150,000 in upgrades from the builder base model. Enjoy three outside living spaces including a Charleston style paver patio and two verandas. Entry level has a huge recreation room and one of the 4 full bathrooms in this townhouse. Take the elevator to the main level to see the huge kitchen with glass tile backsplash. Take in the wooded view off the main level family room and sip your coffee on the 2nd outdoor space. The spacious master bedroom offers the third outdoor space. Enjoy the huge tiled shower in master bath and large walk-in closet will hold all your clothes. The two other bedrooms are en-suite perfect for guests. You can walk to Wegmans to stock your pantry. Lake Manassas is a gated community that offers amazing walking trials, pools and Stonewall Golf course."